On Monday, Hazel and I went snorkelling with Byron Bay Dive Centre at a little island called Julian Rocks. In the 45 minutes that we were there, we saw a turtle, wobbegong shark, manta ray, puffer fish, trumpet fish and a whole other range of exciting fish, that was enticing the scuba diver within me. 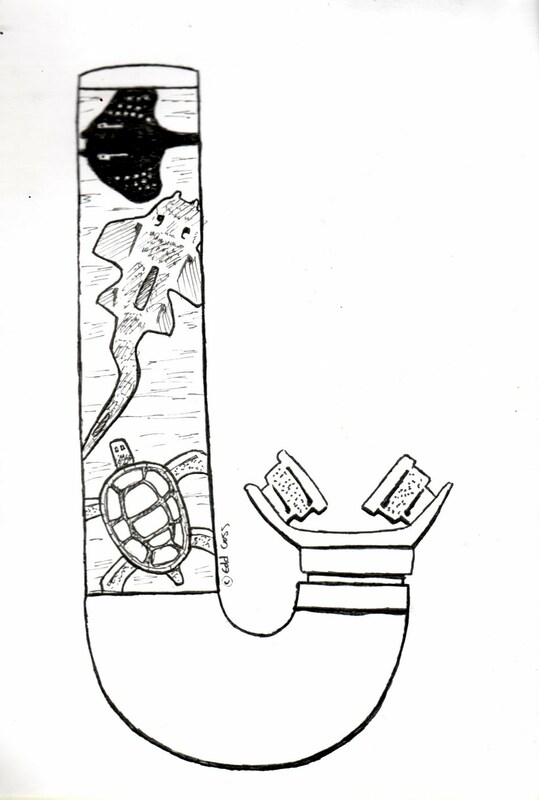 I was thinking of the best way to illustrate my snorkelling Eddventure, and Aboriginal art on boomerangs came to mind (how the art on each boomerangs tells a different story) – so I decided to create a snorkel with a turtle, wobbegong shark and manta ray illustrated on it (showing my story).